Well, we still have WINTER, it is all around us, but mostly to the south of us, We have had cold weather but lately we have had some rain, temps up in the 40's and can say we are on the "DOWNHILL" side of Winter! If you hear about all the snow and bad weather the Northeast and New York State is getting, it isn't us, we are lucky to have 4 to 5 inches of snow in the big meadows around here, there is lots of snow up in the higher elevations. This year has been a very mild winter so far, so we took a road trip! This is a picture of our "Grandson" Brent, this is an "Ice Castle", it is built every year up in the Adirondack Mountains in a village called Saranac Lake, this is the second Castle build this year as the first one fell down after it was built because it was too "Warm"!! I am standing out on "Saranac Lake", behind me is the "Ice Castle", it is built from the Ice taken out of the lake, behind me is the large blocks of ice from the first castle that fell down and the left over blocks of ice, the blocks are about 2 feet wide, 2 feet thick and 3 feet long, they have a nice green tint to some of them and a blue tint to others. There were hundreds and hundreds of people here for the Week-end! Grandma and the Grandson playing "King of the Mountain"! Enjoyed seeing several ski-planes come into the Lake, this Old "Navy Pilot" fly up from Cooperstown, said it took him 3 stops but he made it, stayed long enough to go "P" and grab a coffee and chat a minute and he was off again back to Cooperstown. 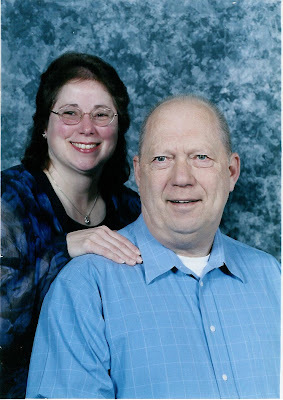 The picture above is my Birthday Picture, My Honey took me to "Red Lobster" where we met my son Jonathan for dinner. 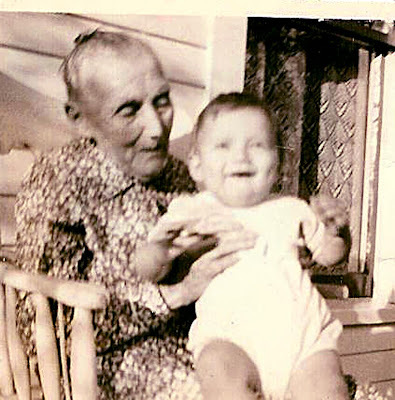 The above picture is ME, the lady holding me is my Great Grandmother, Sarah Ellen Hall, I quite young in this picture! This picture above in also me, I would have fit right in with "Spanky and Our Gang"! The shirt came from my older brother along with the jeans and the suspenders were to keep the pants up until I grew into them. Another year older, Me and My Honey! The "Group" I play in, "The Friends of God" played in the big city of Watertown and I joined them, it was an open mike night and we had a great time. We opened up with a Medely of songs which everyone knew and sang to and enjoyed.! This young Lady could sing and she did several songs which everyone enjoyed. This group was enjoyable and did one song which goes way back called "This Old House" and I surprised them as I also knew all the words, the "guitar" he is playing on the left is an "OLD GUILD" which had a nice deep rich tone. This young lady belted out several songs which pleased everyone and Karl helper her with some backup. As it got near the end everyone came up and we gave a good closing round of song, it was a nice nite and we "Made a Joyful Noise" . Sunday was a nice day, it didn't snow, temps were about 30 and no wind, the SNOW was all south of us, it said that ALL of 49 States got some snow, glad us Northern New Yorkers could share some of our weather with everyone as our gift to you for "Valentine's Day!! We went to church and had a nice service and Coffee Hour, my friend Karl and I played the Guitars for our Praise songs for service with a Violin played by Megan and Mike played the Piano and we sounded pretty good, We made a "Joyful Noise unto the Lord" and heard a good sermon, lots of folks in church and lots of hand shakes and "Hugs" from all the ladies during "Passing of the Peace". In the afternoon I made dinner for my Sweet Valentine and even bought her a mushy card and she got me a beautiful card. I started out with a kettle of Boiling water, added some Bay Seasoning, garlic, butter, and Olive oil and boiled some pasta, In another bowl I combined fresh cut pineapple and mango, I put 4 fresh water slipper lobster tails in with the pasta and pushed them down to the bottom of the pot, then I filled a metal strained with large peeled shrimp and set this in the middle of the pot and let- er- boil!! In a sauce pan I put in some more butter, minced garlic, onion salt, lemon juice, dash of Bay seasoning and brought it to a simmer and placed in small dipping bowls for the lobster. Dinner was served to my Sweet Valentine! This was NOT a fat free, low cholesterol, low calorie meal, and it was delicious!! To top off the pasta, Lobster, Shrimp and fruit we opened a bottle of Homemade Wine from my Old Marine Corp friend "Wild Bill Schrader to make the meal complete. Every man should be as lucky as I am to have such a Honey to share Valentine's Day with and also all the other 364 days that go with it. 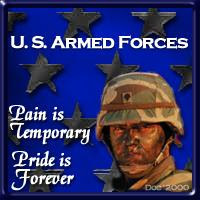 Don't forget our service men and women and keepthem in your prayers!!! Friday night we had Bingo, we had a large turn out and enjoyed a Friday Night Bingo Night here while watching the Cold Weather outside. We talked a lot about the fact all of "OUR SNOW" and "WINTER" was hitting well SOUTH of us, It was nice to SHARE our typical North Country storm with others who usually don't get much snow so we all up here hope everyone down there enjoy the Beautiful "WHITE STUFF" and the cooler temps that go with it! Sunday we enjoyed our Superbowl Party, We had dinner at 5PM, we had Scalloped Potatoes, Clam Chowder, Baker Beans, Pasta Salad, Chicken Wings, Meat Loaf, Ham and Cheese Sandwiches, Chex Mix, chips, finished eating and cleaning up and then settled down with some refreshments and out came some more "SNACKS" for Super Bowl, We had lots of food and enjoyed watching the game, a good time was had by all. Well tonight (Wednesday) was our monthly Birthday Party here at West Side, We celebrated 3 birthdays tonight. One of them was MINE! I was born on February 20, We had a nice time tonight with a Pizza Party, Everyone who signed up paid $3.00 for Pizza and Soda and we had almost all the residents here except sad to say we had 4 of our residents go in the Hospital in the last 2 days. Senior Citizen Housing is nice, the bad part as that it is hard to watch some of our friends have to be taken out and taken to the Hospital as they are part of our Family here. The Pizza came from the local "Nice & Easy Store" and was good and there was plenty of it. There was plenty of Soda and we also had a nice big "Tossed Salad" to enjoy with the Pizza. Everyone enjoyed sitting around and for a treat we were having "Music" after dinner. Karl, Me, and Roger got together after Pizza, Karl and Roger set up the equipment and we played for the folks, The Group is called "The Friends of God" and they let me play with them and there are different people who also play when someone is not available. The Tenants enjoyed themselves sitting and standing around listening to us sing and play. Tonight we played not only Gospel and Praise music but also some country. Even if they look serious in the pictures we did get them to sing and clap and enjoy themselves. When My Honey takes the camera out all of a sudden everyone stops and takes on that serious look!! Everyone had a good time and we enjoyed playing!! Don't forget to Remember our current Service men and women serving our country and don't forget to thank a Vet for their service! !